Unified Communications seems to always be experiencing some new shift within the market, whether that be the adoption of cloud solutions or a new focus placed on AI. There is always some new, latest and greatest solution or technology that can help simplify our lives. At one point, Slack was the reigning king and obvious answer when it came to simple and effective communication and collaboration. We stacked up a number of competitors, but Slack kept on chugging — even absorbing one of their largest competitors, HipChat, from Atlassian. Other options have existed, but only recent have we begun to see the cracks begin to appear in Slack’s stronghold. As Enterprise organizations begin to shift towards the cloud, and UCaaS platforms, a need for something more capable arose in 2019 — a need for a true and complete Enterprise Communications platform. Back when we compared what was then known as Cisco Spark to Slack, I originally noticed an Apples to Oranges comparison: Spark just does so much more than persistent conversation, and today that still rings true. 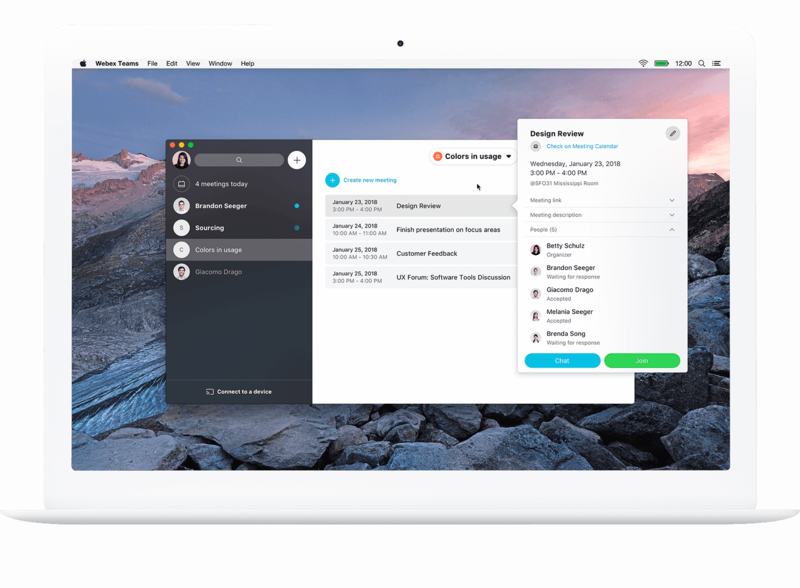 Despite a name change, Cisco’s collaboration vision continues to grow and develop as Webex Teams. The better head-to-head comparison would therefore be Webex Teams vs Microsoft Teams, as Microsoft Teams is currently Webex Teams’ biggest competition for the title of best Enterprise Unified Communication platform. Cisco Webex is a bit of an old friend of mine, we go back to the app’s Spark days. When I first took a look at Cisco’s strong entrance into the collaboration world, I genuinely appreciated it. I now feel that a comparison to Slack was unfair, with what is now known as Webex Teams reaching beyond the more basic chat and collaboration form of application. 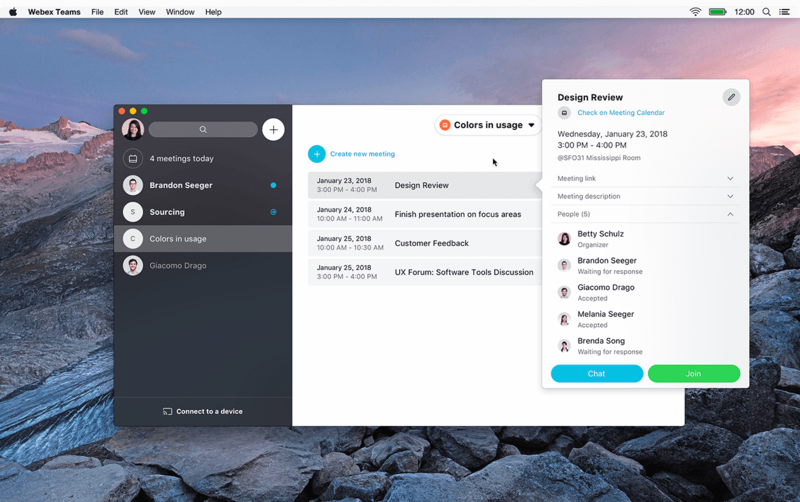 While the collaboration team has shifted quite a bit throughout the last few years, Webex Teams has continued to stand as a really strong Enterprise collaboration platform. We’ve since seen other platforms develop on the market, and even Slack shift their focus slightly to bring in the Enterprise side of the equation, albeit with mixed results. When Cisco rebranded Spark to WebEx Teams, they included more than just a fresh coat of paint. The main idea was to create a single and cohesive platform utilizing just one name, Webex. File – All your shared files are saved to the same space you work in with your team, files stay in the rooms they were shared in, and a powerful search makes it easy to find everything. The original release of Cisco’s digital whiteboard, and deep integration into the overall platform, has added a unique focus to the platform and pushed towards a bit more towards a hardware focused platform, due to Cisco’s history in hardware, but has since seen less of a prominent role in the development and growth of Webex Teams. For example, we’ve seen more recent an expansion into Huddle Room tech and even Webex Calling. But at the end of the day, the biggest benefit you gain from Cisco is their long-time expertise in communications, specifically a strong focus on developing video conferencing solutions. 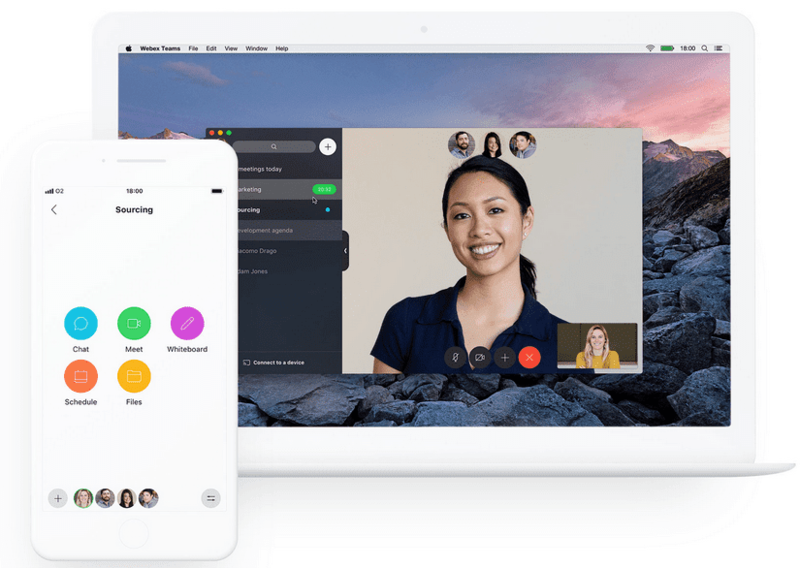 While Webex Teams can absolutely be had without video conferencing, users can of course add on Webex Meetings to their solution to expand the core functionality. But right off the bat, every subscription and plan of Webex Teams can take full advantage of the unique whiteboarding capabilities built right into the platform. 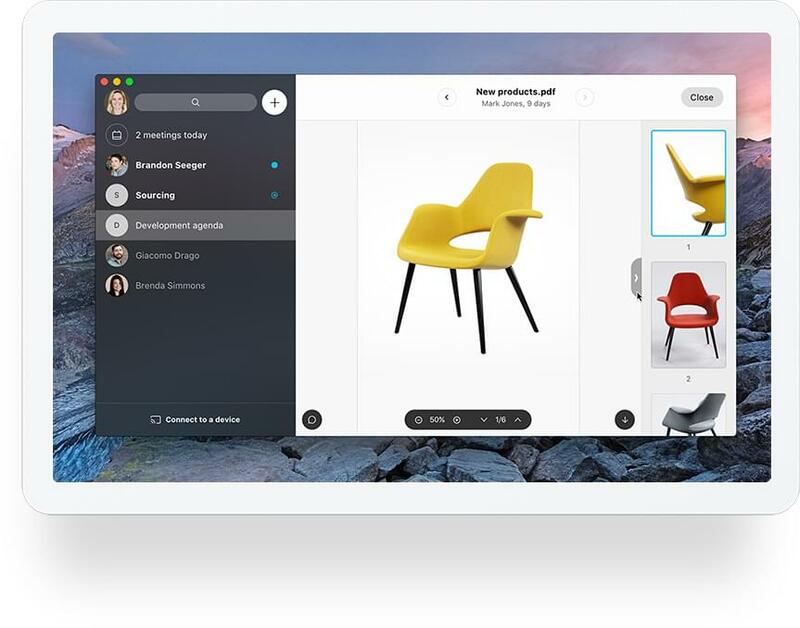 Visual collaboration is one of Cisco’s fortes in this realm, and even does help rival the intense collaboration capabilities granted through consistent Office 365 usage. While Webex has undergone some changes throughout the time we’ve been apart, much of the core functionality has remained consistent — which is a good thing. I always enjoyed using Webex (when it was Spark), and enjoy the subtle, yet impactful, changes that have come overtime. The design overall stays true to the simplicity that is necessary in a solution like this, combining a wide range of capabilities and keeping it all easy to use is no small task. Running through the UI quickly, Webex utilizes a stark contrast to separate your work content and your navigation. This is key, allowing users to very easily and quickly understand what they are looking at. If they need to find someone to talk to, or a room to be in, they use the dark section. If they need to find that message that just came in, or focus on the conversation, they look towards the lighter sections. Navigation is made simple with a small menu on the left side of the app, providing digestible icons to jump between your home view, team selection, calling page, and meeting hub. 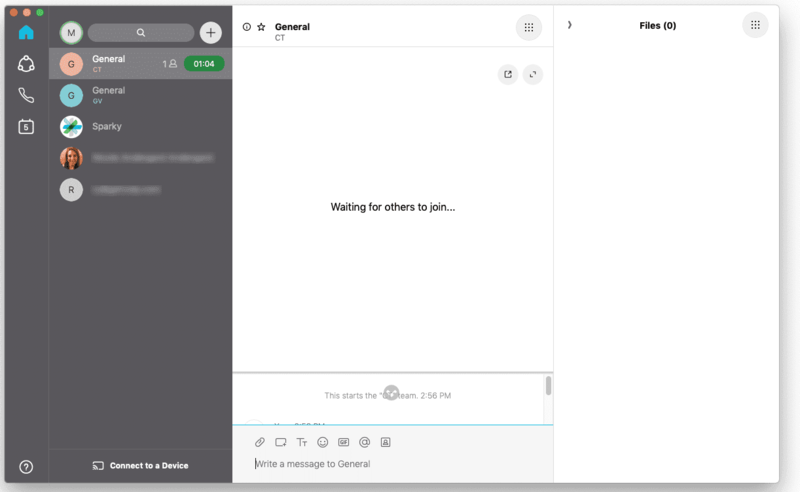 What is really unique about the “home” tab is the ability to customize this view on the fly — like you can see your team chat, list of conversations, and whiteboards all at the same time. This tab contains a list of conversations and chats you are in, along with a search and quick access button to start a new chat. This is all still within the left, dark panel. Looking towards the center of the app we are greeted by the actual content, whether that be a team chat or 1:1 chat. But what I think is really powerful is the second menu housed on the top-right of the app, something introduced back with the Spark Board. From here you can further expand your view to include other forms of collaboration. For example, if you’re in the middle of a video conference, you can make that your main view in the center, and keep your chat off to the right. 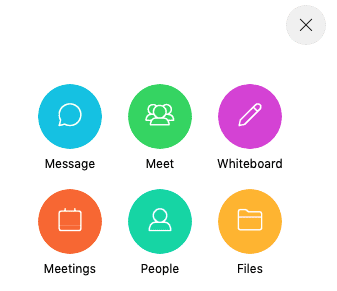 Alternatively, users can access files or even whiteboards directly from this menu while keeping the main content in view, whether that be a video call, audio call, or text conversation. This is the true power of Webex, this consistent marriage of collaboration, not to mention the extremely powerful meetings capabilities built right into Teams, as well. Everything you need to know is always right at the front of your fingertips, and nothing is ever hidden. Users aren’t necessarily forced to switch between their chat view and their whiteboard view, or in order to focus on the video stream and include chat, sacrifice the ability to whiteboard. Everything works together seamlessly, and minimizes the overall clutter and confusion that could be inherit to collaboration a massive scale. Speaking of which, collaborating through Webex is incredibly powerful, and simple. As I outlined above, the ability for users to pick and choose what specific functionalities are in their view enable users to completely customize their work and meeting space as necessary. This enables for powerful collaboration with multiple functions and tools, without forcing the user to split their attention between more than one application. This really can’t be underestimated, and I think Cisco really hit the nail on the head here. The modularity of the platform is a massive selling point, and doesn’t become overwhelming or cumbersome. In fact, this is less about “customizing” the interface, and more about truly using the platform in the way that works best for you. Webex enables users to collaborate on their own terms — if drawing and diagramming is key, then the whiteboard will most likely be your prominent view. But if text conversations are where it all goes down, then users have the ability to focus on files and texting, and completely forget video even exists. Of course, a large focus is placed on the ability to video chat, or whiteboard, or text, or do this all at the same time. And that’s why Webex has the capability to do-so, by removing some of the stress. Everything is always a simple click away from that little menu on the top right. We can’t forget how important the digital whiteboarding capability of Webex is, either. The Webex board is still alive and well, and represents a big focus for the platform, although only time will tell to see how new management looks to shift the paradigm even further. Speaking of shifting the paradigm, Artificial Intelligence is quickly creeping its way into our real-world applications, as we’ve started to see within the contact center sphere. With such a close relationship between UcaaS and CCaaS solutions it makes sense AI is bleeding further into collaboration solutions. The forms of AI we will see come into our collaboration platforms are far different from those utilized in other solutions, with a stronger focus being placed on helping make our lives easier, and our meetings more productive. 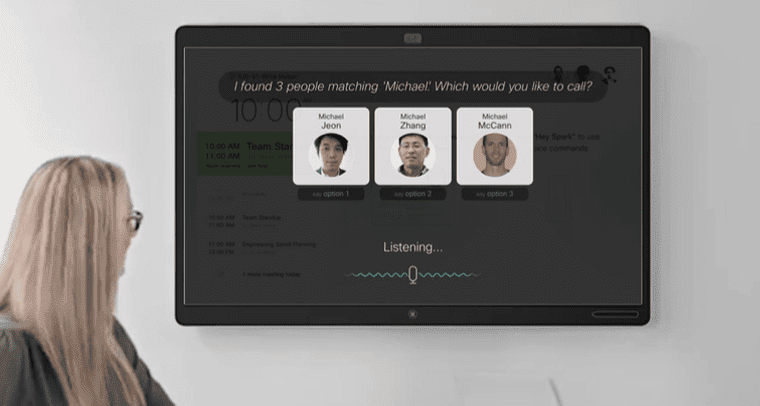 The most overt example of AI within a UC solution is the inclusion of a virtual assistant — something that both Microsoft and Cisco have been developing for some time now. And just like Microsoft, Cisco is no stranger to the use and influence of AI. 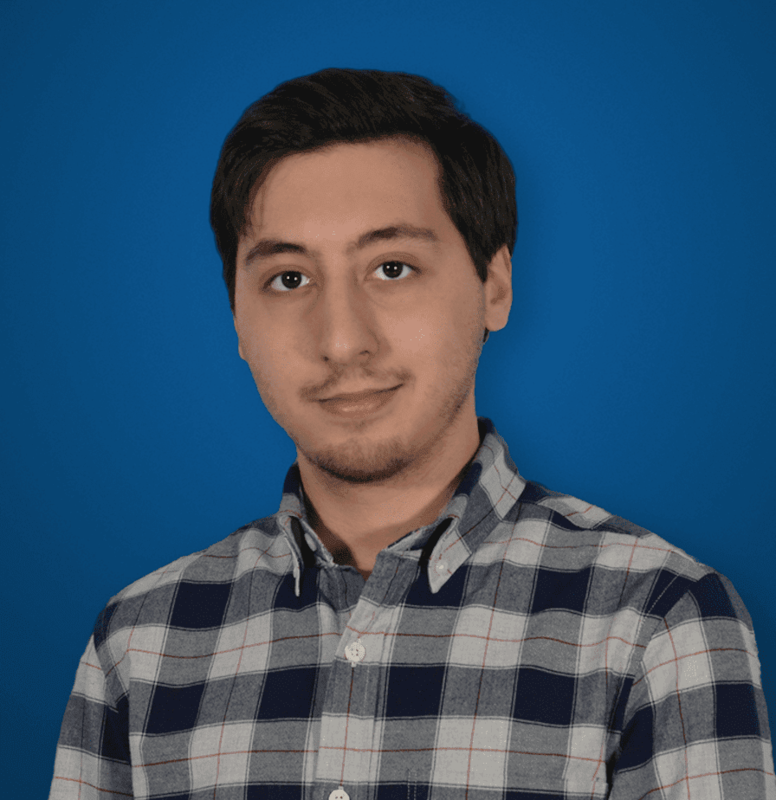 For example, right off the bat, back when the platform was known as Spark the team had begun injecting AI into the solution, arguably before competitors were really pushing the latest tech. For example, the Spark Assistant started as a little bit of an experiment, and was more recently expanded as a complete Webex Assistant. 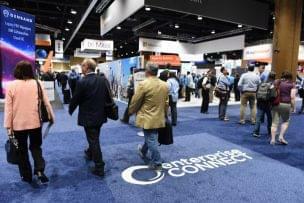 Prior to his recent departure from the Cisco Collaboration department, Jonathan Rosenberg wrote a blog post highlighting the WebEx shift, moving Cisco collaborations towards that unified brand. Within this post Jonathan noted a specific term, “work intuitive.” Similar to the “intelligent communications” of Microsoft, Cisco is obviously placing a very similar focus on the use and development of AI. Simply and effortlessly join WebEx personal meeting rooms, or specific meeting rooms of your co-workers and other teams, again through voice commands. 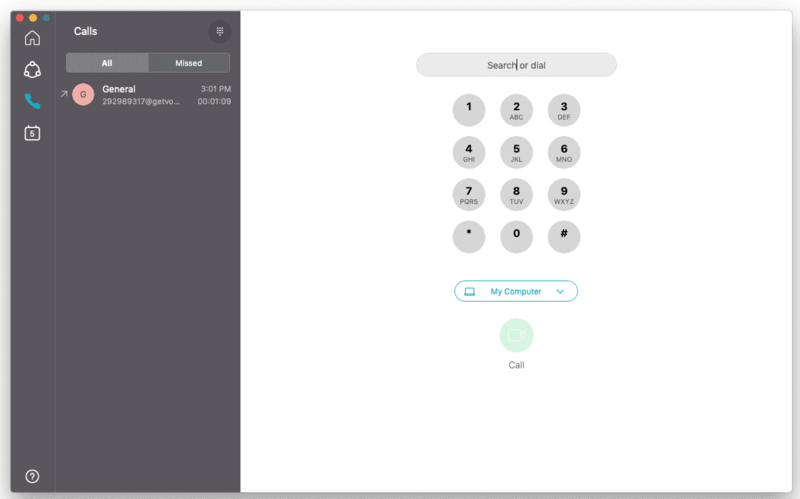 Control any Cisco endpoint or device through voice commands — for example users can simply say “Hey Webex, start recording this meeting,” or even “end this meeting,” to turn a device off. The idea is of course to expand the assistant over time, and Jonathan Rosenburg even explained that the assistant will grow to handle more and more tasks over time, “the types of tasks that frustrate people and feel like a waste of effort.” For example, if you can’t find the slide you want to share, just ask the assistant to find it for you. I do want to highlight something very recent, as well. Cisco’s collaboration department, as we know, has experienced a shift recently. While they have remained mostly silent, at the end of January, NoJitter had the chance to interview the new head of the department: Amy Chang, former Founder and CEO of AI-driven intelligence platform Accompany. Despite the recent changes within Cisco’s collaboration department, Webex seems to be pushing forward, and pushing hard. Chang has some really interesting initiatives and goals that hopefully we can gain some more insight on in the weeks to come, and during Enterprise Connect in particular. Enterprise organizations naturally have a greater technological demand on their solutions and platforms over that of a smaller organization. 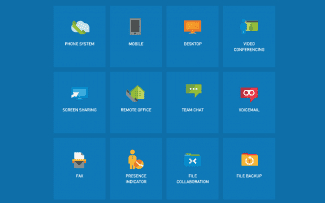 Solutions like Webex Teams are much more than taping together a chatroom and a video conferencing function, but rather about creating a cohesive collaboration experience. With the capabilities organizations gain in platforms like Webex Teams, and as we will see in the near future Microsoft Teams as well, departments can interact and collaborate on an entirely new scale and an entirely new level of efficiency.